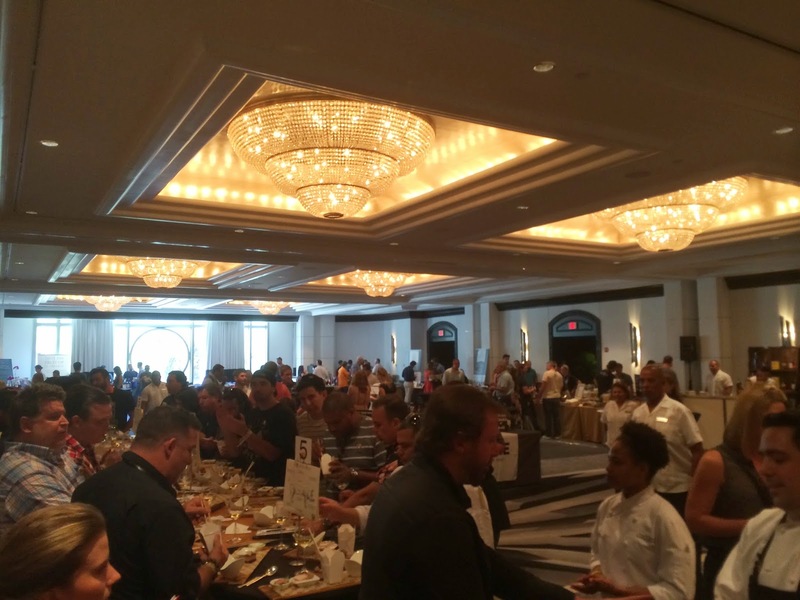 Sunday afternoon, my wife and I attended this year's Cochon555 event at the Loews Miami Beach Hotel. 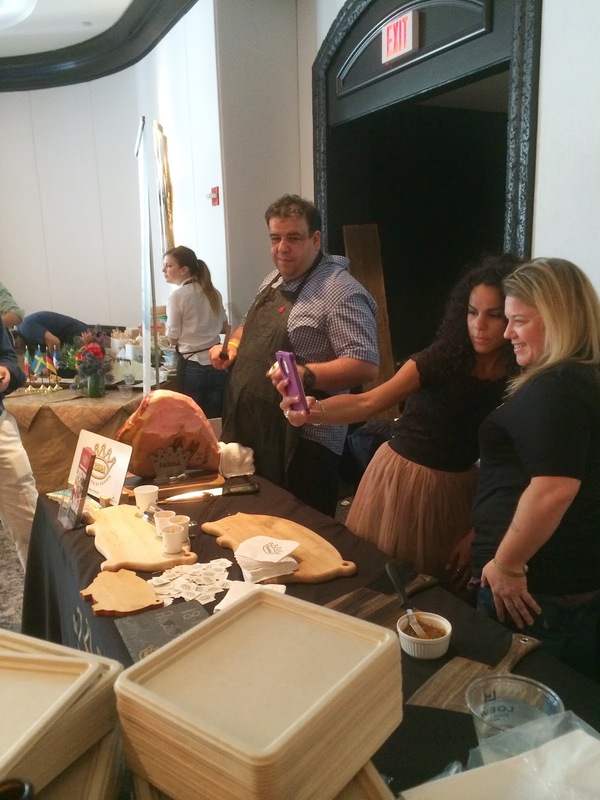 Miami is actually the ninth stop of ten this year before the Grand Cochon finale takes place on June 20, 2015 in Snowmass/Aspen. 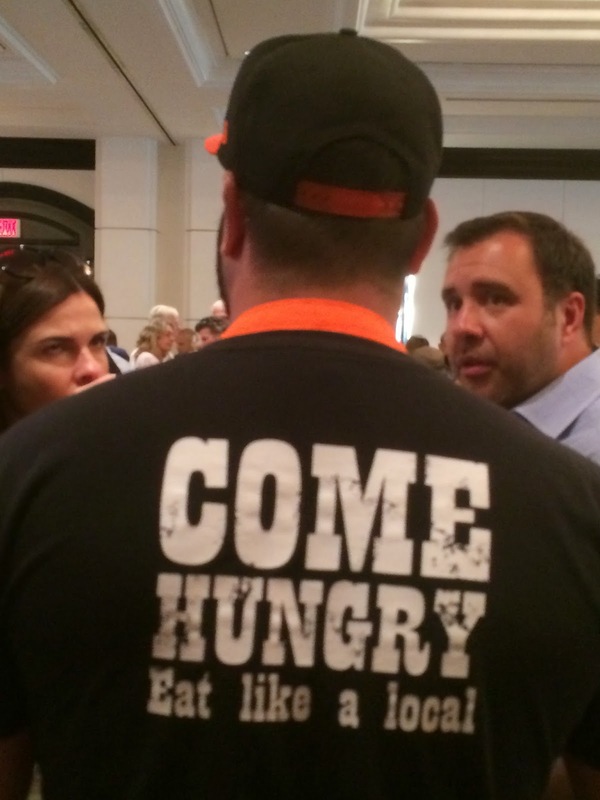 Hurry, there's still time to sign up for the final event in Chicago this coming Sunday, April 26, 2015! 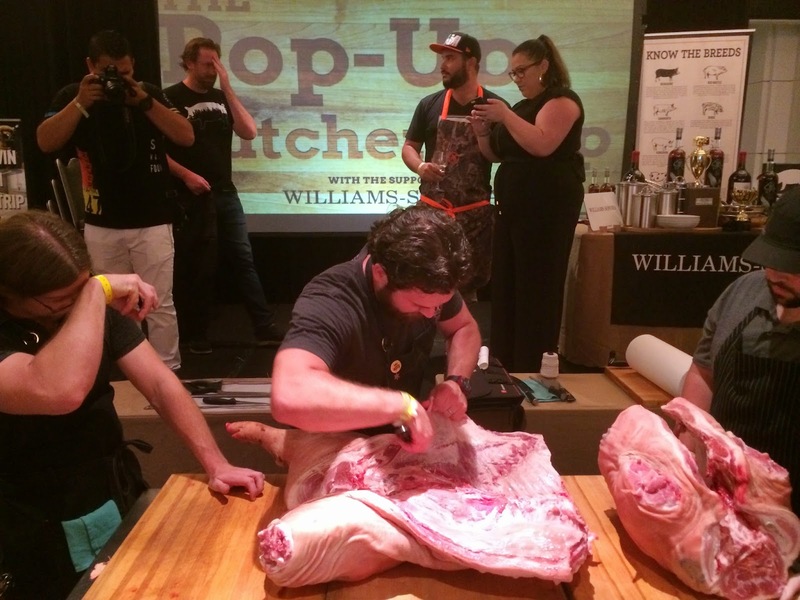 In each city, 5 Chefs put together dishes made from 5 Heritage Breed pigs in a competition to be crowned the Prince/Princess of Porc. They are accompanied by 5 Winemakers, thus the "555" part, duh! It would be pretty funny if they added one more of each, at least I think so. 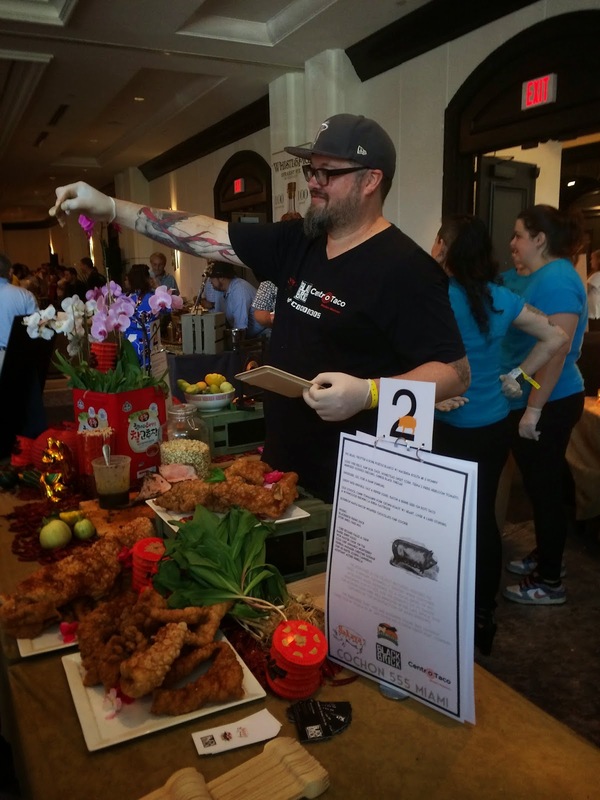 In addition to the cooking competition, there were several other stations with fun things to see and do. Let me get this out of the way now... I ate like a pig, totally pigged out!!! I had to do a double workout the next day! Since I'm a beer guy first, big shout out to Diego and his team from Miami's Gravity Brewlab for being the only beer sponsor and absolutely rocking with their Sunshine State of Mind Wheat Ale! I'm such an idiot that though I was talking to them the entire night, I never bothered to take one photo. But I did score a "take home" bottle for a review on DailyBeerReview, so hopefully that will suffice. 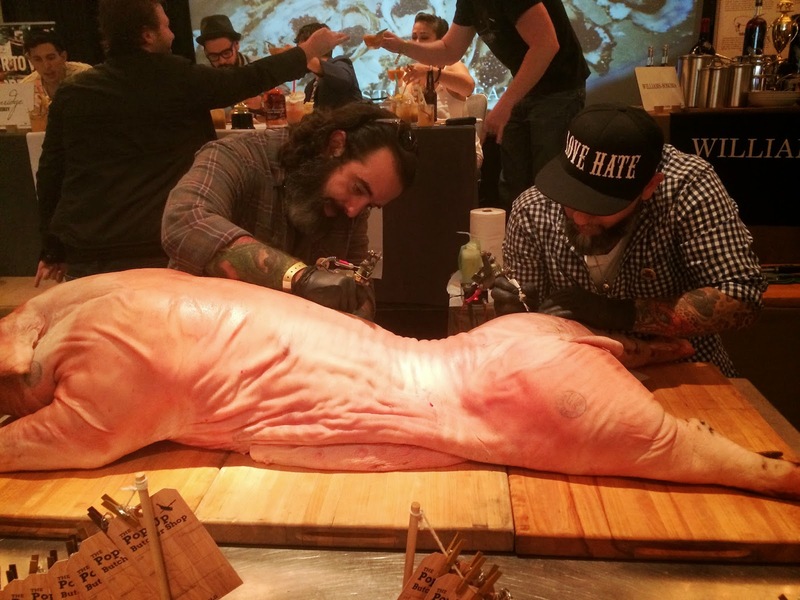 I think the Cochon crew could have even added another 5 to the mix, that being 5 whiskies! They had several vendors showing of their products, as cocktails or neat, very creatively incorporating bacon and other pig products. 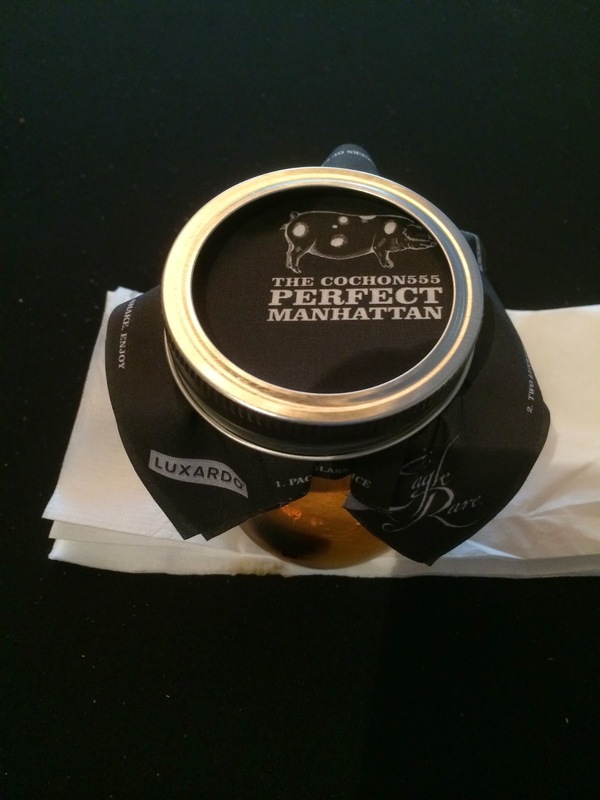 Buffalo Trace, Eagle Rare and Breckenridge Bourbons? Yes Please! 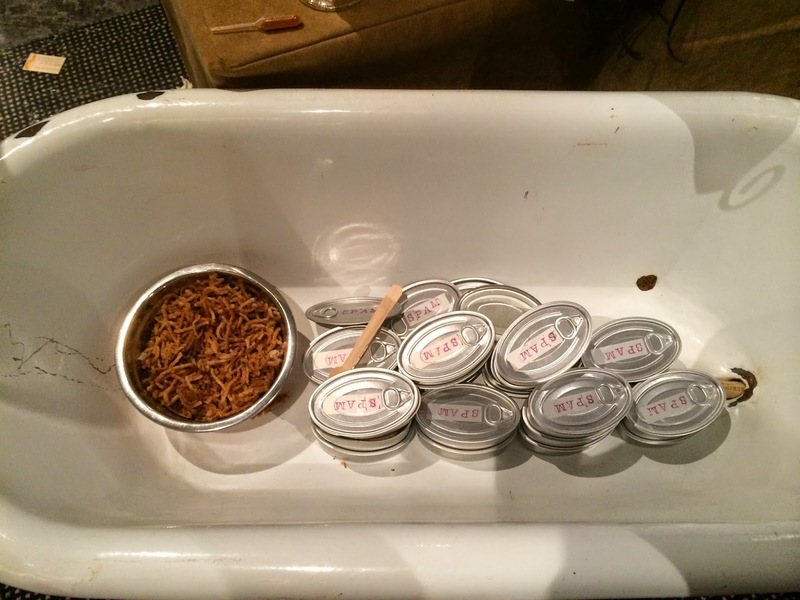 The Perfect Manhattan cocktail station was a popular spot (for everyone but especially me). 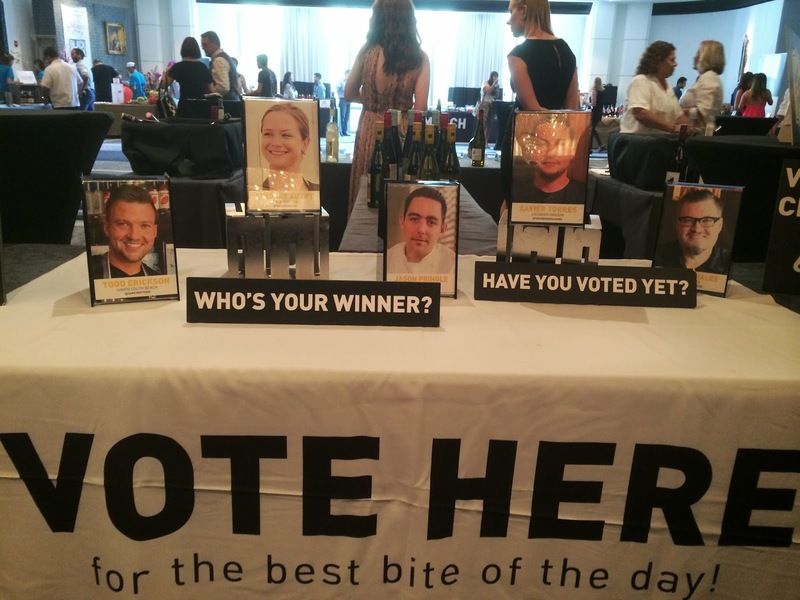 They had an artisan cheese bar served with other gourmet deli items, an oyster bar, and the Punch Kings cocktail competition. There was a station serving caviar and another serving Prosciutto di Parma! Chef Jose Mendin, last year's Prince of Porc and 2015 competition judge, was cooking at a station as well. Double duty! 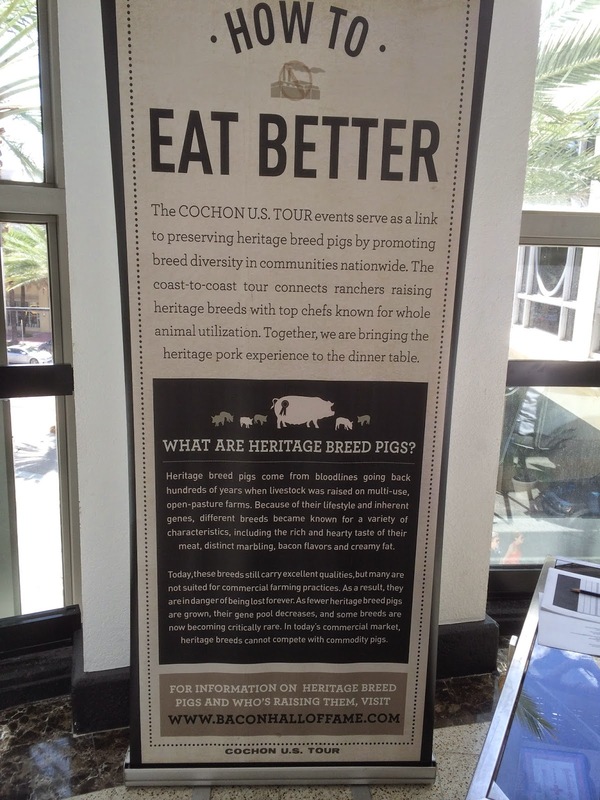 One of the favorite events events of the afternoon happened with one of the Heritage Breed pigs. Front and center, two of the guys from Miami Ink tattooed the pig MIAMI 555. The hum of the needles was never far away. Pretty cool. But what happened next was just as awesome. 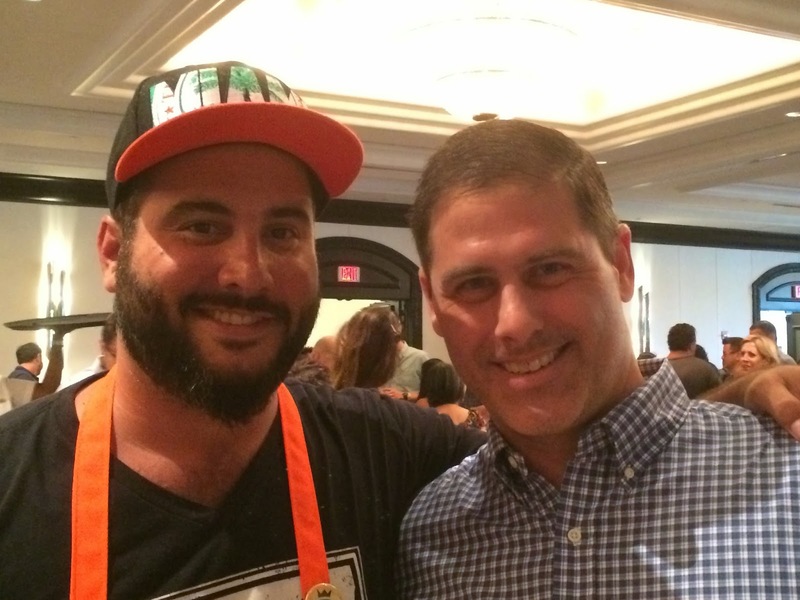 Cochon555 Founder Brady Lowe made some introductions and talked a little about the event. 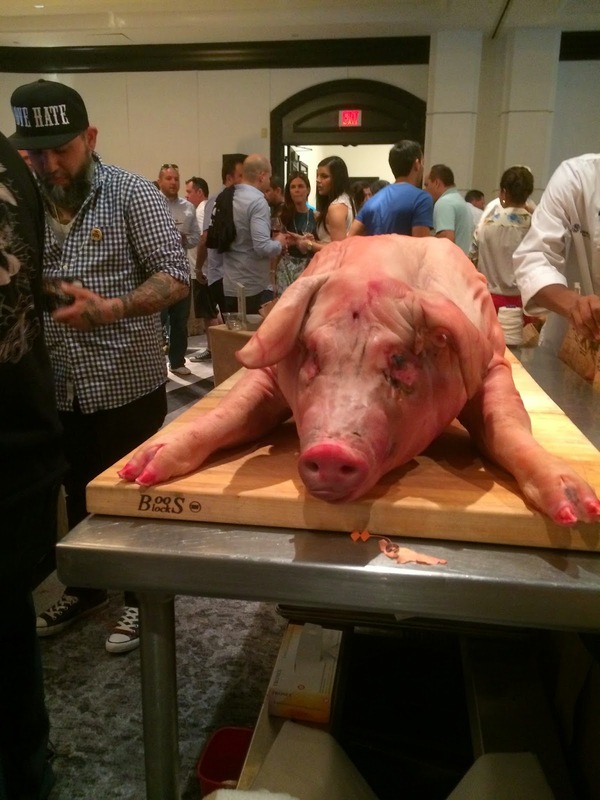 Then the "Tattooed Pig" was butchered in front of the crowd by Andres Barrientos of Miami Smokers, knives, hacksaws and all! 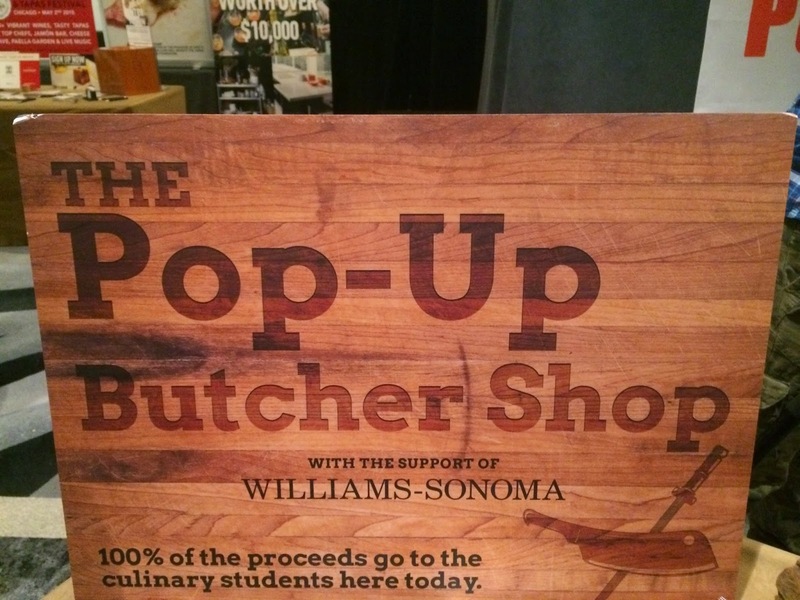 The meat was sold in a Pop-Up Butcher shop, raising $880 for the culinary students of Johnson & Wales University. 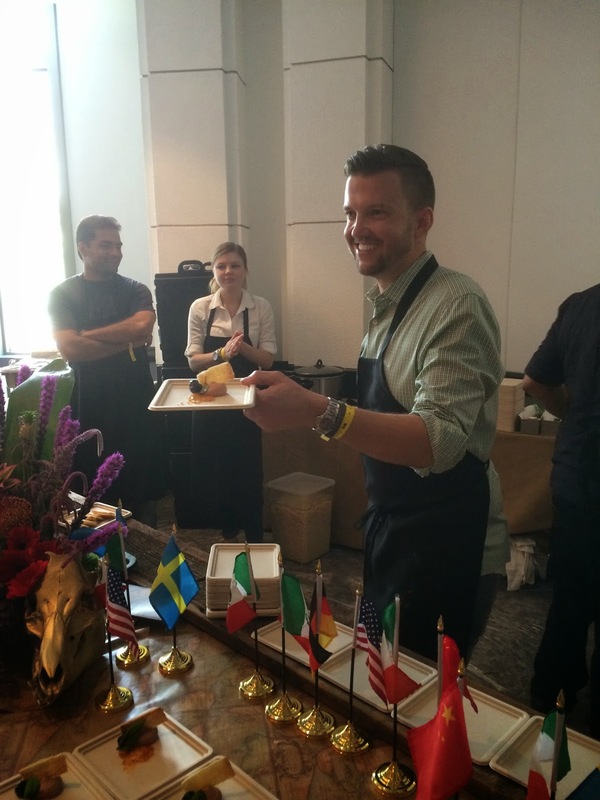 Don't forget that while everything I already mentioned was happening, the 5 Chefs were serving multiple dishes created from their Heritage Breed pigs. 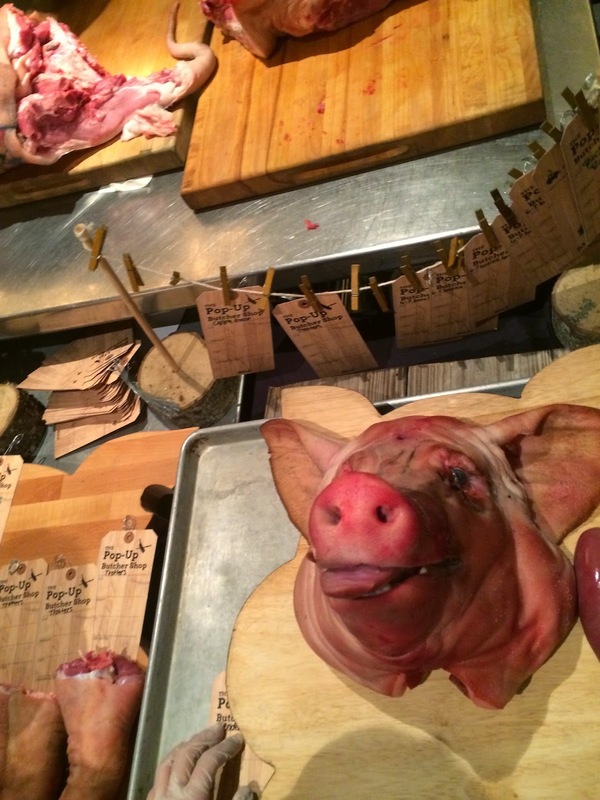 Chefs Xavier Torres of Drunken Dragon, Todd Erickson of Haven South Beach, Jason Pringle of db Bistro Moderne, Richard Hales of Blackbrick, and Lindsay Autry of Fin & Feather made so many tasty and fun dishes using every part of their pigs! 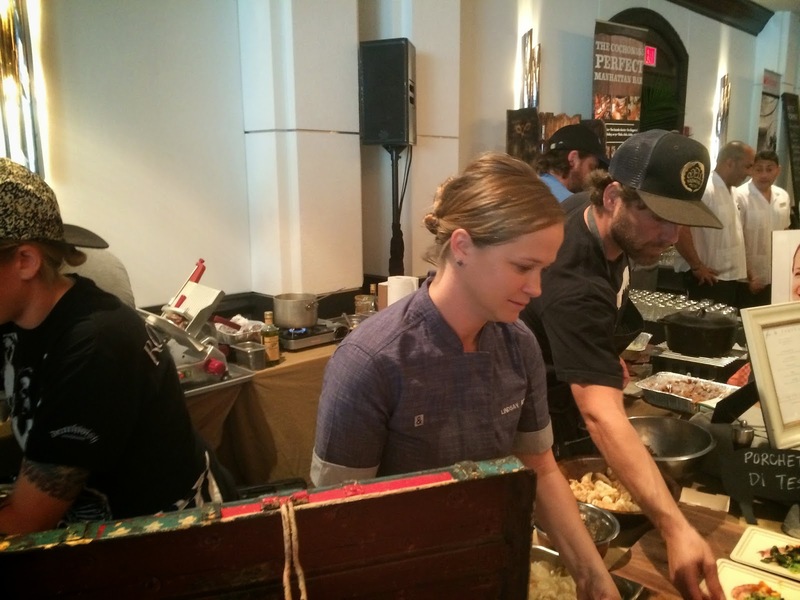 We started with the dishes of Chef Lindsay Autry. 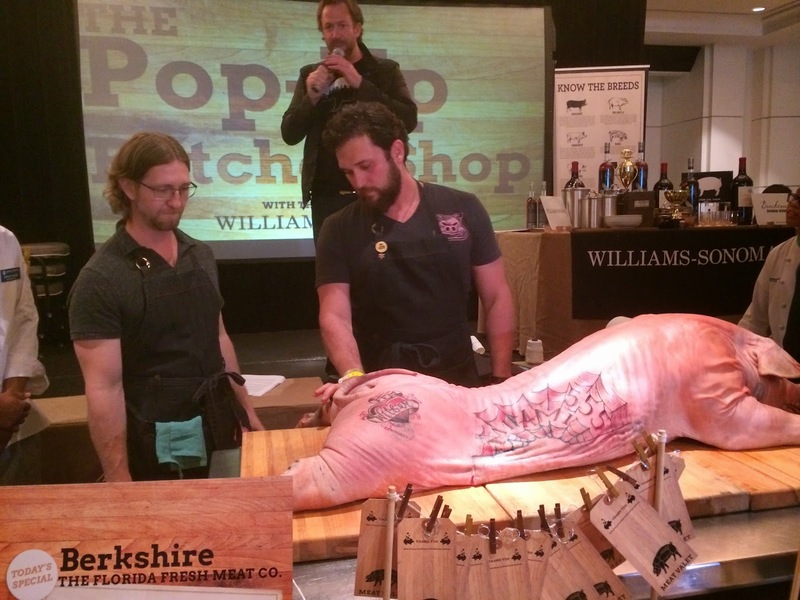 She was using the meat from a Red Wattle pig raised in South Florida, with the breed originating from the South Pacific. 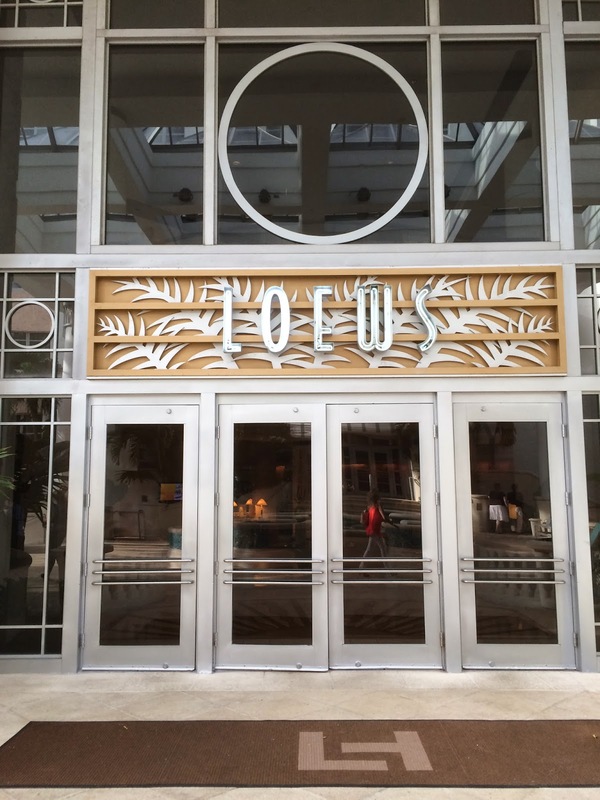 Fantastic Carolina BBQ and Delicious Porchetta is pretty much all I can say! 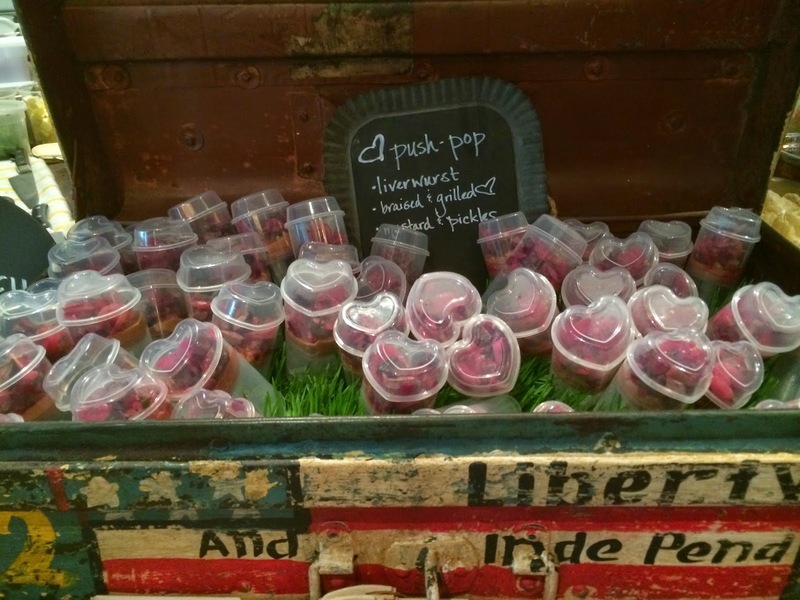 Oh, and a heart-shaped liverwurst push pop! Oh, crap, almost forgot the SPAM in a can creation! 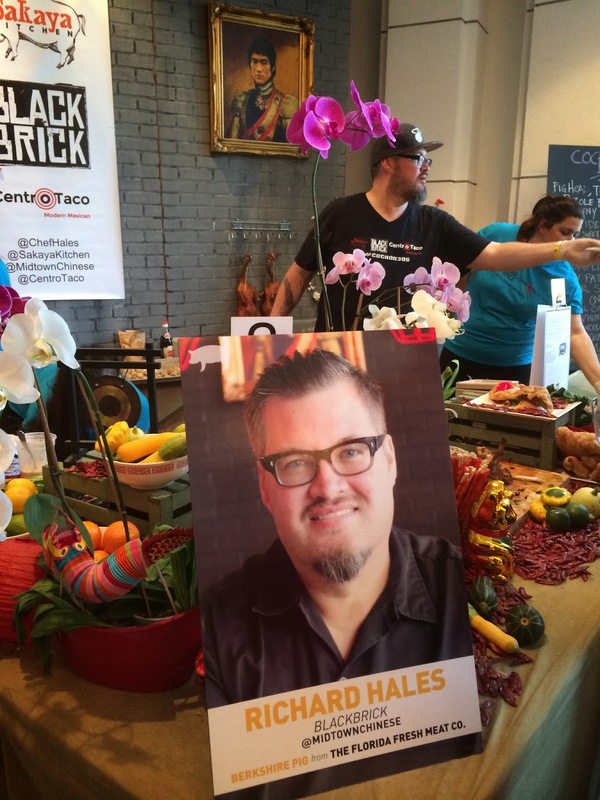 I also loved several of the dishes from Chef Richard Hales. He was using a Berkshire Heritage Breed pig originating from Britain. Delicious pork belly and other dishes too, and OMG the cookie with bacon is etched on my memory forever! 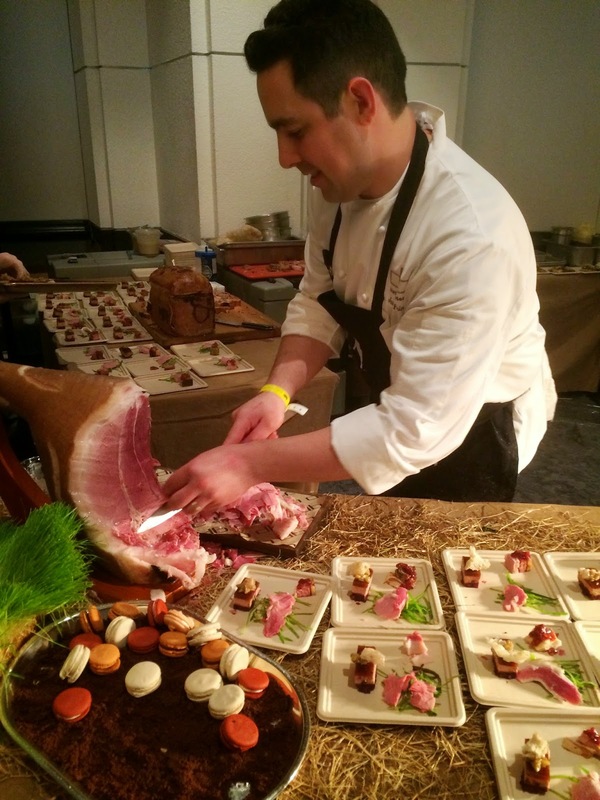 Chef Jason Pringle also had some standout dishes using a Large Black Heritage pig. Great combination of flavors. But seriously, I didn't have one thing I didn't like all night. Great job to all the chefs in a pressure situation. 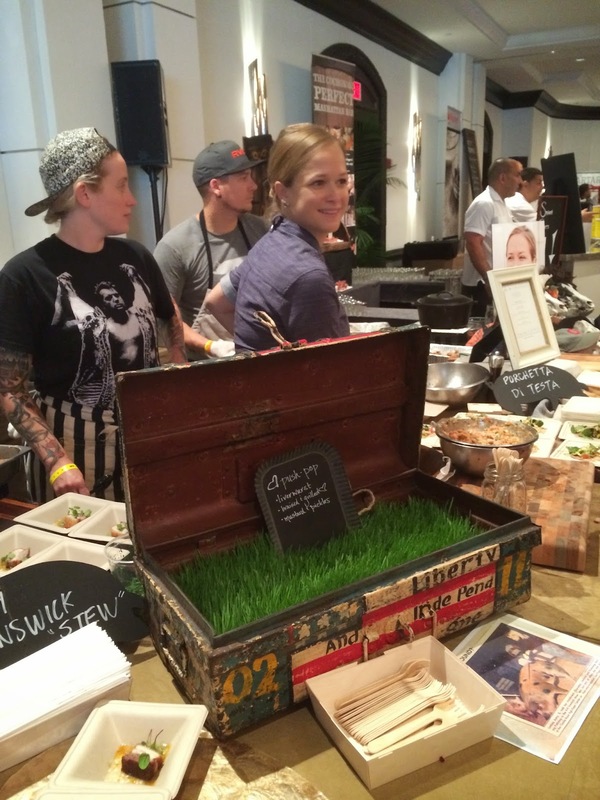 In the end, Chef Lindsay Autry of Fin & Feather was declared the winner. 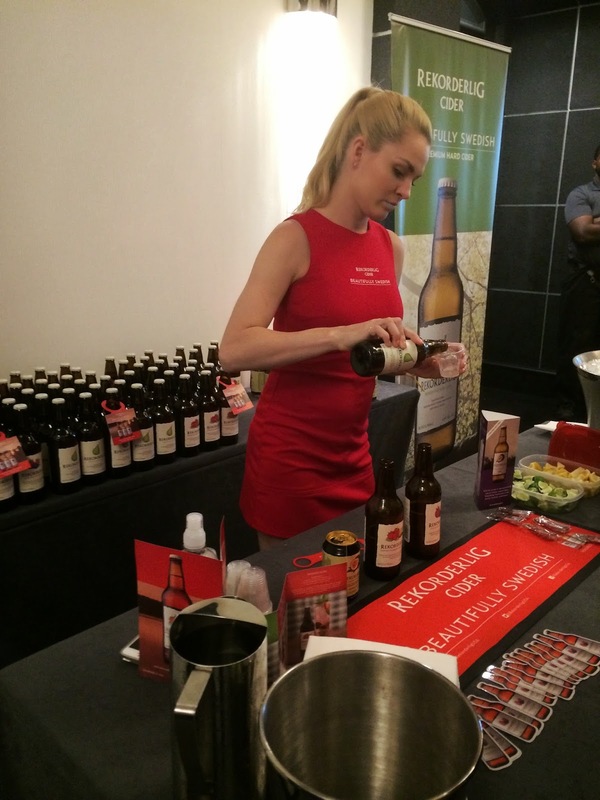 You probably will recognize her as a finalist from Bravo's popular TV show Top Chef, and she also worked for the famous Chef Michelle Bernstein before opening her own place. Can't wait to check out that restaurant! I got to catch up with some friends and people I hadn't seen in a while. 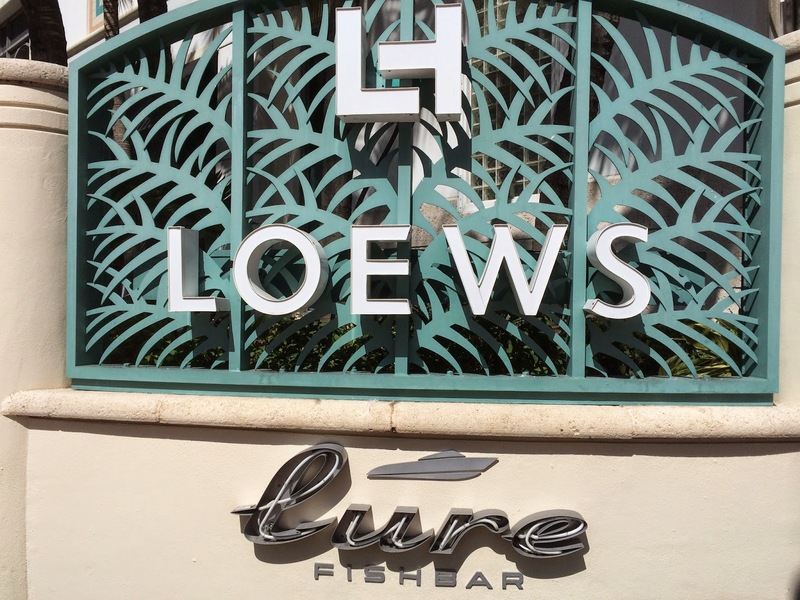 The hotel was awesome as always, attentive staff, terrific hosts. My guess is that you're really going to love my photos, but here are the professional ones as well (I have a cameo in #9 along with a hundred others, LOL)!